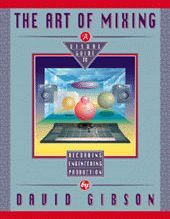 THE ART OF MIXING — A Visual Guide to Recording, Engineering and Production, by David Gibson uses visuals of mixes to explain and SHOW how to create every style of mix that is typically done for each style of music and song. 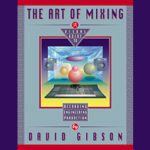 Gibson has mapped out everything that can be done to create various effects in a mix. It’s an in-depth exploration into the aesthetics of what makes a great mix in a simple, visual manner. 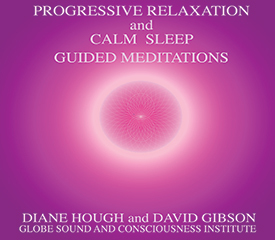 The book shows everything from Bluegrass to Big Band, New Age to Heavy Metal, Classical to Hip Hop, Jazz to Rap, and Alternative Rock to Techno. Edited by George Petersen, editor Mix magazine. 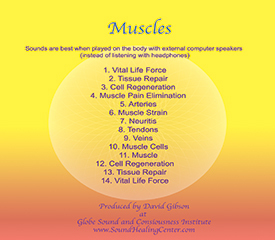 Every single component that goes into making a great recorded piece of music. An introduction to the visual framework for displaying sounds in a mix. Reasons for creating one style of mix or another. Including: Fader, Compressor/Limiters, Noise Gates, Equalization, Panpots, Delays, Flangers, Choruses, Phase Shifters, Reverbs, Harmonizers, and Pitch Transposers. Common values for the use of Volume, Panning, EQ and Effects in mixes for different styles of mixes. Creating different classic styles of mixes. Changing the style of mix in the middle of a song. The visuals give you away to identify what other engineers are doing in the mixes you like. 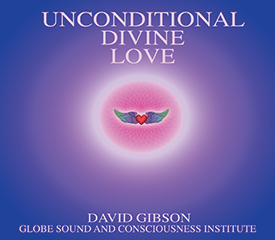 With this perspective on the underlying structure of the dynamics that are going on in a mix, you will develop your own values. Then, you can do whatever you want. Once you have a good perspective on what is possible, you have the power to be truly creative on your own. 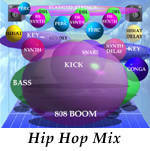 The videos use the 3D visual framework to explain and show how to create every style of mix in the world for any style of music. This book provides an all-inclusive perspective on everything that goes into producing a project, and how to do it. Most producers are simply flying by the seat of their pants. 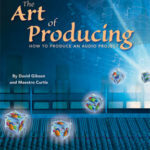 Once you have finished this book, you will have a better perspective on how to produce a project than most producers. With experience you can become a major producer.